Osprey Controlled expansion AlSi alloy manufacturer in China. The miniaturization and multi-functionalization of electronic components improve the heat dissipation of the device. And the heat dissipation problem of the device has become the bottleneck of the rapid development of the telecom industry. Compared with the traditional thermal management materials, we mainly introduce the type and performance characteristics of the third generation heat management materials. It indicates that high performance thermal management materials should be characterized by low density, high thermal conductivity, thermal expansion of semiconductor and chip materials, considerable hardness and good hermetically. 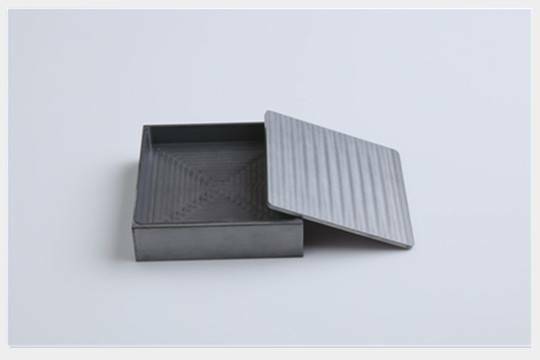 The properties of conventional packaging can no longer meet the marketing demand,thus,Baienwei Co.Ltd developed a series of Rapid Solidification Si-Al alloys (which also called Controlled Expansion Alloys) for electronic housing and other wide range applications.These alloys are available in the composition range of 80Si-20Al to 27Si-73Al,which enables the coefficient of expansion to be adjusted between 6 and 17ppm/℃, so as to be compatible with common microelectronic components and substrates. The housing(as fig.shows) which is composed by the Al-50%Si controlled expansion alloys,and the Al-27%Si alloy carrier's CTE is matchable with Al-50%Si alloy housing. 1) RF and microwave packages and carriers(suitable material:Al-50%Si Controlled Expansion Alloy),Fig.shows. Silicon particles distribute well,no stoma and holes,so improve the strength performance and product yield.